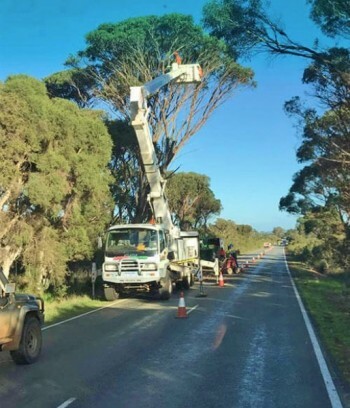 Offering more than just tree removal, providing a prompt, professional team that works hard to improve your situation in as little time as possible, so you can get on with the more important things in life. 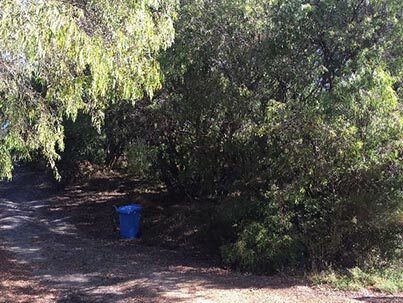 From tree removal to fire break installation and weed control Acorn Trees and Stumps are here to serve you. 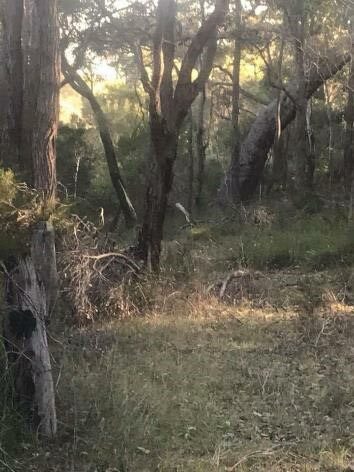 There is no job too big, too small or too difficult, we can do them all from the tallest Karri tree to garden amenity pruning, we will prune it, remove it, slash it or poison it. Based in Albany Western Australia, servicing a wide area from Hopetoun to Walpole and north to Brookton. Specializing in Arboriculture and tree risk management, two senior staff members with a combined 30 years of experience in tree management qualified in QTRA (Quantified Tree Risk Assessment) an internationally recognised standard in assessing the tree risk to your home, family and friends. Offering sound advice and working towards a solution to your problems with the best outcome for the tree and the surrounding environment. 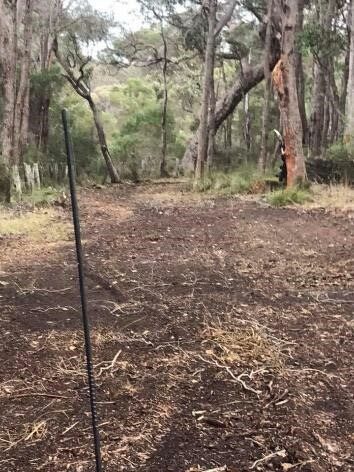 Acorn Trees & Stumps are also able to advise and carry out necessary works on your APZ (Asset Protection Zone) to protect you home and loved ones against the ravages of a BUSHFIRE. Building a new house, we can undertake the necessary BAL (Bushfire Attack Level) report on the building site for your local council approval. If weeds and fire breaks are the question then Acorn Trees &Stumps have the answer for you, with staff qualified as Pest & Weed Management technicians. Tractor or Possi track loader fitted with either a forestry mower for the heavier vegetation (up to 300mm in dia) or a slasher option for the grassy areas. To maintain the vertical heights to the required minimum of 4.5 meters, we have a noremat reach-mower that can prune upto 80mm in diameter. 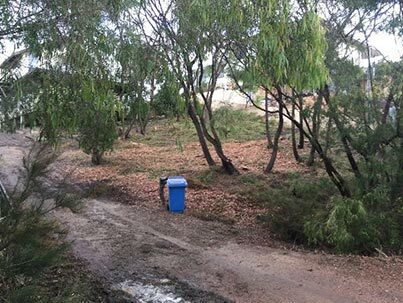 Recent work on an urban block to assist the land owner in complying with the 2018 Fire Break Notice for the APZ, Albany Western Australia. Fire break installation through virgin bush, Denmark, Western Australia.